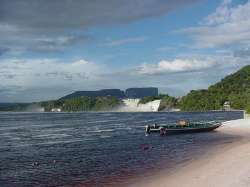 One of the oldest geological regions as well as unspoiled places on earth is that one located to the South of the Orinoco River. It is a unique luscious land with magnificent landscapes, chosen in many opportunities as the natural scenery for films like Spielberg's Arachnophobia, Disney's Jungle to Jungle and Dinosaurs. 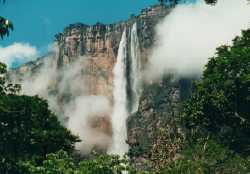 If you are looking for one of a kind excursion, different from everything you have seen so far, this have to be your choice.It is here where you may see the highest waterfall in the world: El Salto Angel, and La Laguna Canaima (Canaima Lagoon) with more spectacular cascades. 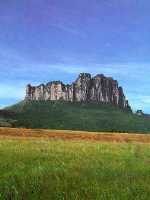 On the way to the Brazilian border you will get to the Gran Sabana home of the very ancient geological formation called Tepuys; high mountains with vertical hillsides that host on their summits highly balanced ecosystems rarely found anywhere else. 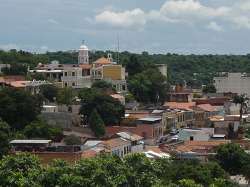 Ciudad Bolivar located on the narrowest part of the Orinoco River, and for this reason formerly named Angostura (in English Narrowness) pictures much of the Venezuelan history on its streets, squares and museums. It also offers a view to modern art at the extraordinary Jesus Soto Museum named after the worldwide famous Venezuelan artist, whose work is considered, as one of the highlights of the contemporary plastic arts. 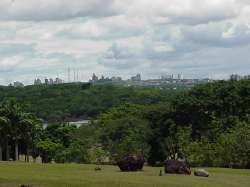 Ciudad Guayana created by the fusion of Puerto Ordaz and San Felix turned into a booming modern city, thanks to the development of heavy industries like iron, aluminum and hydroelectricity. Its natural parks La Llovizna and Cachamay are worth a visit. Go on heading to Guayana. Select the place of your preference.